Talking Movies Mini-Episode #10: Filmmaker "List of Shame"
Ah, it is that time of year again where we settle in for the summer event. I am always skeptical when I pick up an event mini-series, as there have been far too many burns. 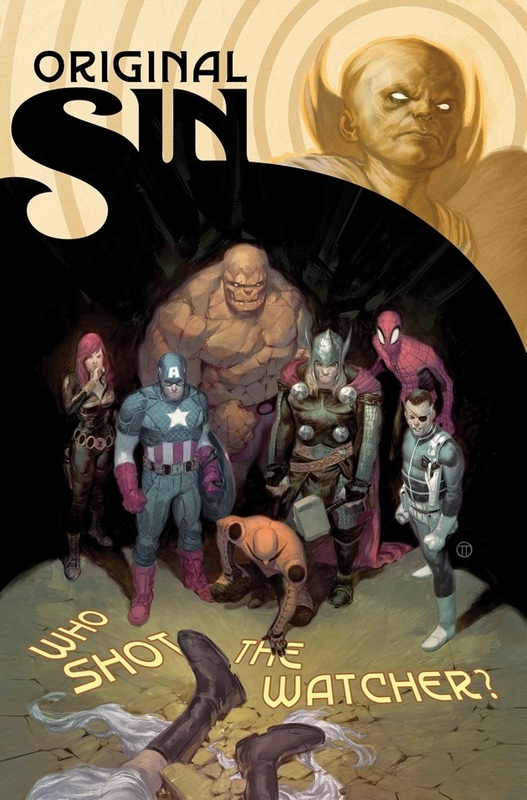 Original Sin offers up an intriguing introduction into the event with some noirish art and a good old detective story at its core. Deodato sets the tone for the story with a gritty art style that is complemented by the more subdued hues from Martin. These two help to sell the detective story side of Aaron’s story. There are many purely awesome moments that are shown in this issue. Some of my favorites were the look on Uatu’s face before getting shot, the heroes standing over the corpse, and the entire exchange between Strange and Castle. While the art team brought these awesome moments to life, they were the brainchildren of scribe Jason Aaron. Aaron has brought back Nick Fury (senior) to head up the investigation, and it has me really excited. The inclusion of the diner scene at the beginning of the issue was a nice touch, and provided both a nice bit of characterization and lets the readers know that there is still a strong relationship between these characters. The bulk of the issue focuses on various pairings of heroes following up on various leads and investigation avenues, and shows the scale that this event will likely take. While motive has not yet been established, Aaron is setting up for a rather high stakes event. Even though I got the feeling that this event will spread out to many corners of the Marvel Universe, I do not think the stakes will be as high as Marvel’s previous event, Infinity. I’m a buy on this. Nick Fury leading up the investigation helps to add to the old noir feel of this story. I hope Aaron keeps that going throughout the series, but I have a feeling it may drop off as the story expands. The Doctor Strange and Punisher team up also has me wanting to read more.